Die deutsche Überarbeitung wird nachgereicht. The bronze groundplate replace the original baseplate made of sheet metal with a more solid and resonance optimized baseplate made of bronze alloy. The bronze groundplate is from the mounting points compatible to the original dimensions of SME baseplate. Opposite of the original design of the tonearm with the bronze groundplate is fixed firmly and to the adjustment the entire bronze groundplate including tonearm shifted. The height of the bronze groundplate is 10 mm, so the tonearm comes approximately 7mm higher. This is in particular interresant for owners of the Garrard 301/401 turntables, since no further spacer is necessary for the assembly of the SME tonearm. 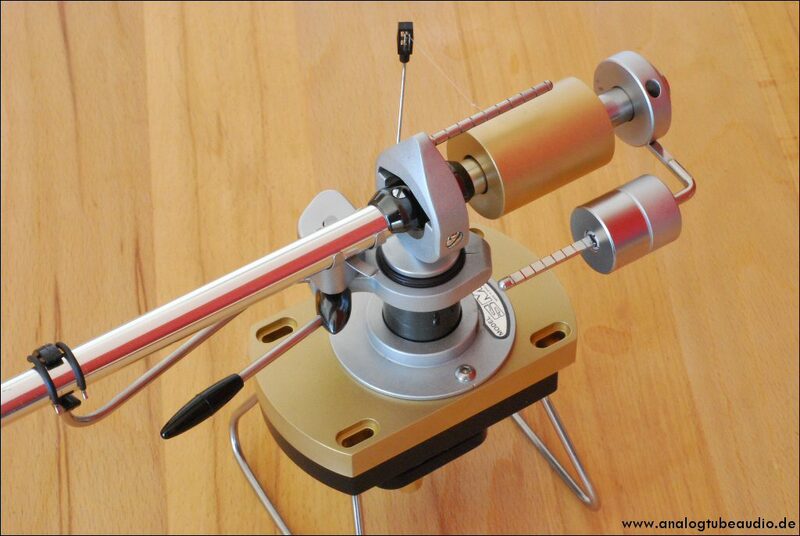 The tonearm wins resolution, deeper and more controlled lows and a outstanding dynamic. Voices have more chest and instruments of more body. Nevertheless the SME change its classical character, but it sounds with the tweaks on a premier level. Again, the benefits of the modifications have been stronger than those normally gained with new cables or a change of pickup. This is a great result. Do I recommend the bronze base ? Yes, I recommend it for all SME knife edge bearing tonearms, as it is bringing only benefits and no losses, and last but not least, it is rather easy to do the modification. Both tonearms now have a quality that is more than a threat to 12 inch Ortofon tonearms. Before, the Ortofon tonearms were said to have better bass performance compared to the SME knife edge tonearms, specially when using Ortofon SPU or similiar cartridges. 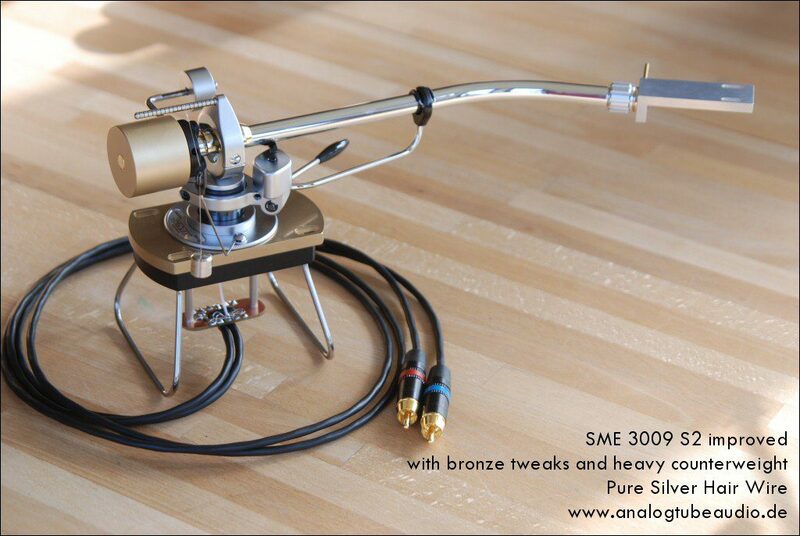 Now, since this bronze base modification is available it is clear that SME tonearms can play powerful and dynamic with Ortofon SPU cartridges.